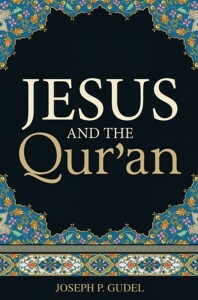 This tract examines how Jesus Christ is presented in the Qur’an, and encourages Muslims to evaluate their scriptures. Dear Muslim friend, do you believe the words and teachings of your holy Qur’an? Or have you unknowingly rejected the testimony of the Qur’an about Jesus (or Isa) and about the prior revelations that God sent to bear witness to him? If you trust the Qur’an and have an open and prayerful heart, you may be surprised at what it says about the prophet Jesus. The Qur’an declares many wonderful things about the prophet Jesus. Three surahs (or chapters) are named after references to him, and he is spoken of in fifteen surahs (ninety-three verses) altogether, more than any other person in the entire Qur’an. The Qur’an teaches that Jesus healed the sick and raised the dead (3:49; 5:113), was born of the virgin Mary (3:45-47; 23:50; 19:16-22), brought the gospel to the Jewish people (3:49-51; 13:38), and was an apostle and prophet of God (3:49; 6:85-90). In the Qur’an, Jesus alone is supported by the Holy Spirit (2:87, 253). Jesus alone is called “the Word of God” (3:45; 4:171) and “the Messiah” (“Christ,” 3:45; 4:157, 172, etc). Yet the Qur’an is not the only testimony to Jesus. Nor is it the primary one. The Qur’an repeatedly states that God sent prior revelations to the Jews and the Christians: The Torah (Taurat), the Psalms (Zabur), and the Gospel (Injil). Have you ever read what these prophetic words say about Jesus? But you may wonder if the Jewish and Christian Scriptures are really trustworthy revelations from God. Perhaps you have been told that they have been corrupted or lost. What does the Qur’an say about this? In numerous places the Qur’an testifies that God gave the Jews and the Christians revelations in the past: “He sent down the Law (of Moses) and the Gospel (of Jesus) before this, as a guide to mankind” (3:3-4); “Say, ‘We believe in the revelation which has come down to us and in that which came down to you’” (29:46; cf. 6:89; 2:136; 5:46-47; 7:157). In other passages the Qur’an is clear that these Scriptures existed during Muhammad’s lifetime: “Say ‘O People of the Book! Ye have no ground to stand upon unless ye stand fast by the Law, the Gospel, and all the revelation that has come to you from your Lord’” (5:68; cf. 4:136; 10:94 3:93; 5:46, 59, 68-69). It would be impossible for Christians and Jews (the People of the Book) to “stand fast” by these revelations unless they were still in their possession at that time. Many ancient copies exist of both the Torah and the Gospel that are dated centuries before Muhammad. These are entirely consistent with the books known in the Bible as the Old and New Testament. Other verses claim that the Qur’an was sent to “confirm” the scriptures that God had sent beforehand: “This is a Book which We have sent down, bringing blessings, and confirming (the revelations) which came before it” (6:92, emphasis added; cf., 2:40-41, 89, 91; 3:3). The Qur’an also claims it “guards” these scriptures (5:51). If, however, the Bible had become so thoroughly corrupted that it was no longer capable of guiding the people, as many Muslims now assert, how could the Qur’an be said to “confirm” and “guard” it? According to the Qur’an it is impossible for anyone to change or corrupt God’s revelations: “There is none that can alter the words (and decrees) of God” (6:34; cf. 6:115); “No change can there be in the words of God” (10:64; cf. 18:27). In fact there is not a single verse in the entire Qur’an stating that the former Scriptures have ever been changed by men or abolished by God. True followers of Jesus believe that God is able to protect his word from all attacks and slanders. All people, including Muslims, are commanded to believe and obey these unchangeable revelations. Jesus said: “Until heaven and earth pass away, not an iota, not a dot, will pass from the Law until all is accomplished…Heaven and earth will pass away, but my words will not pass away” (Matthew 5:18; 24:35). What then do the Scriptures say about Jesus? The Old Testament prophets tell of God’s ancient plan to bless all nations through Abraham’s descendant, the coming “Messiah.” The Injil testifies that Jesus is this Messiah and that he was crucified, buried, and raised from the dead according to the prophets. Jesus declared, “Everything written about me in the Law of Moses and the Prophets and the Psalms must be fulfilled” (Luke 24:44). Jesus did many awesome miracles of healing and deliverance, even raising the dead to life. His greatest sign was his own resurrection from the dead. “I am the bread of life; whoever comes to me shall not hunger, and whoever believes in me shall never thirst” (John 6:35). “I am the light of the world. Whoever follows me will not walk in darkness, but will have the light of life” (John 8:12). “I am the resurrection and the life. Whoever believes in me, though he die, yet shall he live” (John 11:25). “I am the way, and the truth, and the life. No one comes to the Father except through me” (John 14:6). “I am the good shepherd. The good shepherd lays down his life for the sheep. No one takes it from me, but I lay it down of my own accord” (John 10:11, 18). “Fear not, I am the first and the last, and the living one. I died, and behold I am alive forevermore, and I have the keys of Death and Hades” (Revelation 1:17-18). The prophets proclaimed the days of the Messiah’s coming. They bear witness that everyone who believes in him receives forgiveness of sins through his name (Acts 3:24;10:43). When Jesus’ great forerunner, the prophet Yahya (John the Baptist), introduced Jesus to the people of Israel, he said: “After me comes he who is mightier than I, the strap of whose sandals I am not worthy to stoop down and untie. I have baptized you with water, but he will baptize you with the Holy Spirit” (Mark 1:7-8). He pointed to Jesus and said: “Behold, the Lamb of God, who takes away the sin of the world!” (John 1:29). Jesus once asked his disciples who people thought he was (Matthew 16:13). They told him that many thought he was “one of the prophets.” After various answers were given he asked them: “‘But who do you say that I am?’” (Matthew 16:15). The apostle Simon (Peter) immediately replied: “‘You are the Christ [Messiah], the Son of the living God”’ (Matthew 16:16). Jesus did not rebuke Peter for his answer. Instead, he praised him: “‘Blessed are you, Simon Bar-[son of] Jonah! For flesh and blood has not revealed this to you, but my Father who is in heaven’” (Matthew 16:17). Please understand that when the Scriptures call Jesus the “Son of God,” they do not imply God had relations with a woman whose offspring was physically God’s “son”. God forbid! No, they mean that the Word of God, who was in the beginning with God, took human nature and became a man (John 1:1-3, 14). By the power of the Spirit of God the eternal Word was born of a virgin, as foretold by the prophets. Mary asked the angel Gabriel how this could be; he answered, “The Holy Spirit will come upon you, and the power of the Most High will overshadow you; therefore the child to be born will be called holy— the Son of God” (Luke 1:35). What about you? Do you believe the prophets? Do you believe that Jesus was telling the truth about himself when he claimed to be the Son of God who came to take away the sins of the world, a claim he proved by his resurrection from the dead? Why did God send us these revelations? Jesus’ disciple John gives us the answer: “But these are written so that you may believe that Jesus is the Christ, the Son of God, and that by believing you may have life in his name” (John 20:31). If you truly desire to know God’s will, read the prophets! Read the gospel of Jesus the Messiah! Experience Jesus’ promise for yourself: “Let not your hearts be troubled. Believe in God; believe also in me… Whoever comes to me I will never cast out” (John 14:1; 6:37). *All Qur’anic citations are from A. Yusuf Ali’s The Holy Qur’an .